Does the constant stream of negative news make you want to hit the off-button on your TV remote or chuck away the newspaper you’re reading? You’re not alone. A recent study by the Reuters Institute for the Study of Journalism showed that a quarter of people in the UK are actively avoiding the news, often or sometimes. And the top reason for this? “It can have a negative effect on my mood.” This is hardly surprising given the 24/7 negative news blitz we now endure. 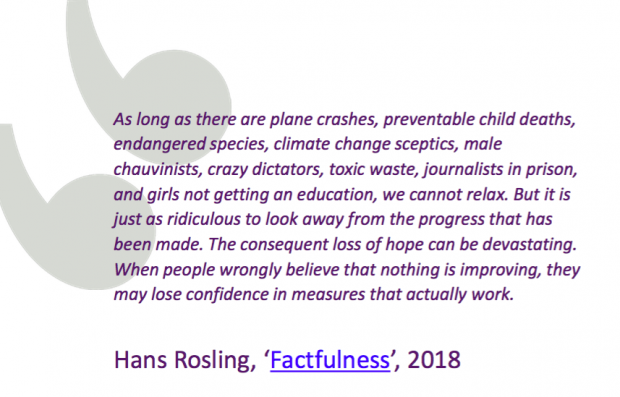 And there’s scientific evidence too that links negative news with mental health problems and apathy, leaving us feeling anxious, passive and helpless, in despair rather than informed. 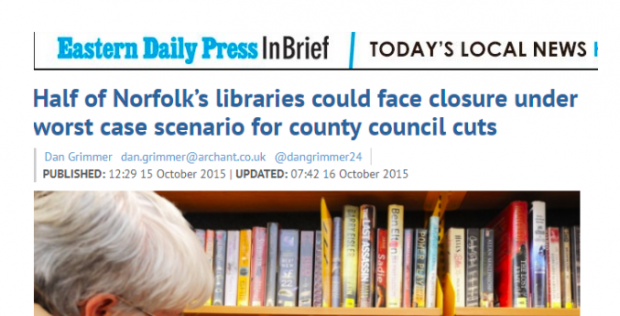 Libraries too have been on the receiving end of a skewed narrative leaving many people to believe they are a dying relic of the past as council funding is cut to the bone. Yet those in the library world know that in some places, millions of pounds of public money is being poured into libraries, in high profile projects such as Liverpool central library and The Word in South Shields, and that some community managed libraries are achieving a lot in their communities. So how can we tell a more balanced story not just about libraries but about our world? How can we break the negative news cycle? 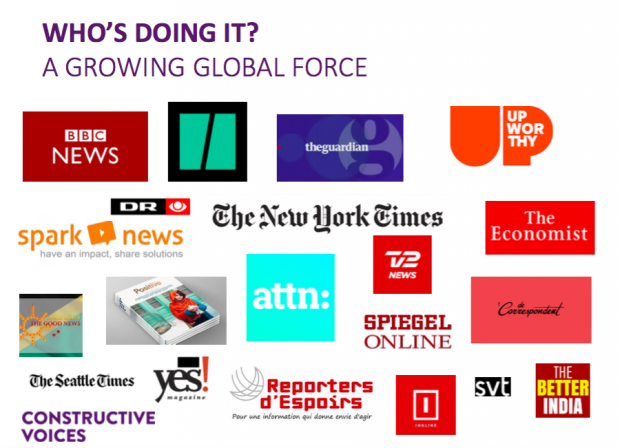 This approach, which is gaining momentum across the world, has been shown to be better for mental wellbeing, is popular with audiences, especially young people, is engaging and empowering, improves trust in the media and gives a gives a more accurate picture of the world, enabling better decision-making. That’s why NCVO, the National Council for Voluntary Organisations, launched Constructive Voices, a project to encourage constructive journalism and create links between the media and those who are tackling problems in innovative ways. Constructive Voices collects – and shares with relevant journalists - stories and case studies sourced from charities, social enterprises, community groups and more. We want to hear what’s happening at the grassroots, especially the often-forgotten small local projects that are having a positive impact on people’s lives. You can find out more about - and sign up to - Constructive Voices here. And do have a read here of some of the stories we’ve secured coverage for. I was impressed to see the IFLA has produced a practical guide to help librarians and library advocates tell their stories. Evidence of impact is a key component of a solutions-focused story, so I was very pleased to see “impact on the community and evidence of its contribution to local, regional or national development needs” as one of the things the guides suggest you include when describing your library’s action. Journalists also tell us that a powerful human angle is one of the most important elements when they’re deciding whether to cover a story. Including both will increase your chance of getting your voice heard and will also help contribute to a more balanced story of our world.